Statement from Anaconda CEO Alistair Forsyth. “This year marks the 10th anniversary of the Anaconda brand. My business partner, Martin Quinn, and I started our company with humble expectations but great hopes for its future. It has been a long, hard journey from one product and one customer in March 2009 to the company as we now stand, with a portfolio of machines and over 1,200 units in more than 50 countries over 6 continents. 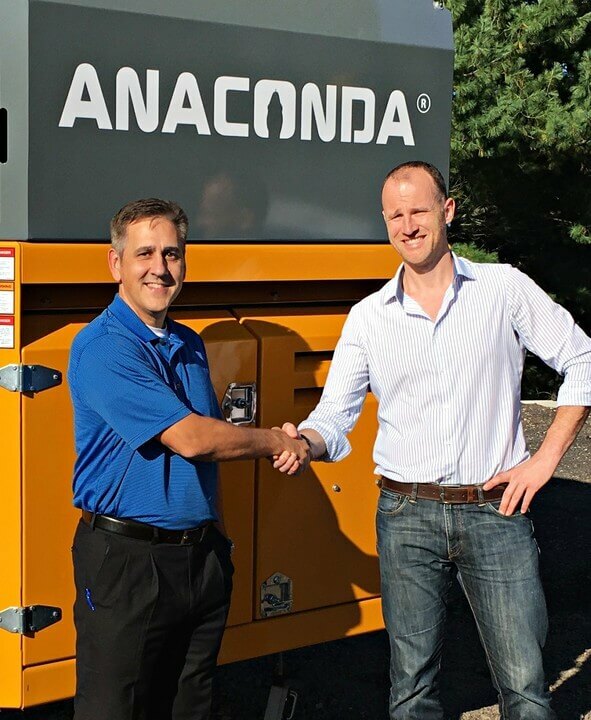 Over the last decade, Anaconda has developed an extensive range of mobile tracked Scalping, Screening, Recycling and Conveying equipment, and has aligned itself with a worldwide group of strong credible equipment dealers to allow us to take the Anaconda brand to market on a global scale effectively, efficiently, and with a core focus on after-sales support and service for each and every product that rolls off the production lines. We have always had a fundamental belief in Anaconda that we are a family, that our relationships and friendships with our dealers form the backbone of our success and growth, and that we are here to service and support them in selling the Anaconda products, and not the other way around as so many big box corporations in this industry operate today. This industry has changed tremendously in the last 20 years; we have seen consolidation of smaller brands into large corporations in an attempt to round off the product offerings companies have in their portfolio. Anaconda has been no exception to these offers either, but we have always been reluctant to move forward until we found a partner with whom we can both benefit from and grow together with. I met with Sean McLanahan, the current CEO of the Pennsylvania-based McLanahan Corporation, a few years ago. It was then that he told me the history of this almost 200-year-old family owned and managed international company that he has the honour of being the 6th generation of family to run. Of course, I knew whom McLanahan was, everyone in our industry had heard of them. What I did not realise, though, was how large and diverse McLanahan was; in fact, this family-run company has been designing and building processing equipment for almost 200 years with production facilities and offices spanning the United States, South America, Australia, India, China, Russia, and Europe. They also own Universal Engineering, the famous Iowa-based company that has been designing and building Jaw and Impact Crushers for over 110 years, and Eagle Iron Works, the equally famous Iowa-based company that has been producing washing and classifying equipment for over 140 years. Sean and I have talked extensively over the years, and we’ve realised that we not only share the same core values on how to do business, but that we also are both passionate about ensuring our companies are core-focused on customer support and service. We decided to start working together two years ago with Anaconda rebranding for McLanahan customers in the United States and Australia, all the while discussing ways in which we could better align our companies to provide more for our customers. We decided that if one great company was good, two-aligned great companies would be even better. Anaconda entered into discussions with McLanahan last year to explore ways in which we could move forward together as one-team for the future in a way that would ultimately improve our product lines and customer satisfaction. Martin and I have always had a very specific direction for the product line development within Anaconda. We know to have a fully rounded product offering is to have Scalping, Screening, Recycling, Conveying, Crushing and Washing to offer our dealers. With a new extended production facility in the works for completion later this year offering much more capacity it made sense for us to develop this partnership with McLanahan given our shared synergy and their wealth of industry proven experience in Crushing and Washing equipment.